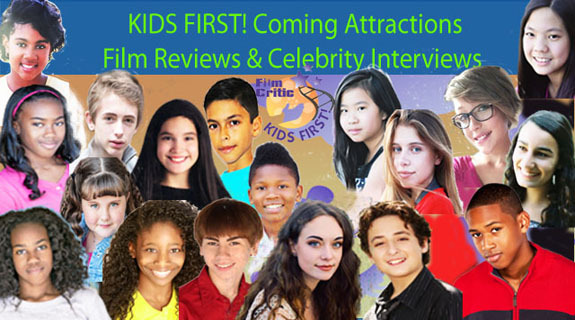 Listen in as we interview filmmaker Evelyn Marcus about her film Never Again is Now, review the films Beauty and the Beast, Kong: Skull Island and Before I Fall and tell you all about the upcoming TV series Andi Mack and the 2017 Kids Choice Awards! Hosts Gerry O and Keefer B are joined by KIDS FIRST! Reporters Arjun, Benjamin, Dariana, Angelie and Kamhai. Before you spend your hard earned dollars at the movies, listen to what our youth reporters have to say. This entry was posted on Tuesday, March 21st, 2017 at 1:18 am and is filed under KIDS FIRST RADIO. You can follow any responses to this entry through the RSS 2.0 feed. Both comments and pings are currently closed.